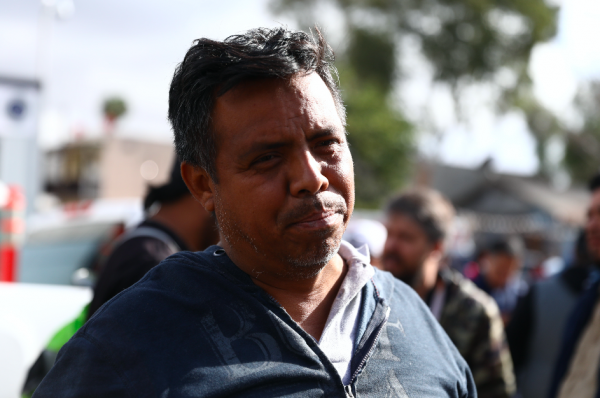 TIJUANA, Mexico—California-based communist group BAMN (By Any Means Necessary) has failed in its attempt to rally migrants in Tijuana to march to the U.S. border. In a tweet posted by BAMN on Nov. 29, the group called for the migrants to march at 11 a.m. on Dec. 1—the Inauguration Day of Mexico’s new president, Andrés Manuel López Obrador. “Open the border or we’ll shut it down!” the tweet reads. Spanish-language fliers from BAMN were distributed to migrants in Tijuana after a failed rush at the border on Nov. 25. “[It’s] a very violent organization,” he said, adding that the group led the rioting in Berkeley, California, when conservative Milo Yiannopoulos was blocked from speaking on campus early February 2017. “They’re an Antifa-type organization, and they have explicitly called President Trump a fascist. Other groups working with the migrant caravan were quick to distance themselves from BAMN. Pueblo Sin Fronteras (People Without Borders), an open-borders group that has helped several caravans from Central America travel to the U.S. border, said it has urged migrants not to march on Dec. 1. “You know they are trying to have the police beating the migrants and they are willing to put their bodies in front to push this supposed march,” Pueblo Sin Fronteras Director Irineo Mujica said on Dec. 1. An NGO that has been helping coach migrants about U.S. asylum laws also lashed out at BAMN in a series of tweets on Nov. 30. “BAMN is agitating the caravan to march on the border. They are not on the ground and not working with the caravan organizers,” the NGO Al Otro Lado (To the Other Side) wrote on Twitter. The group goes a step further, suggesting a conspiracy between BAMN and the U.S. government. “Either BAMN has a government mole, or they ARE the US government, because the gov’t knew way more about their planned march than the caravan,” the group wrote on Twitter. Almost all of the migrants were relocated on Nov. 30 from the Benito Juarez sports complex near the U.S. border to a city event space about 10 miles further into Mexico. 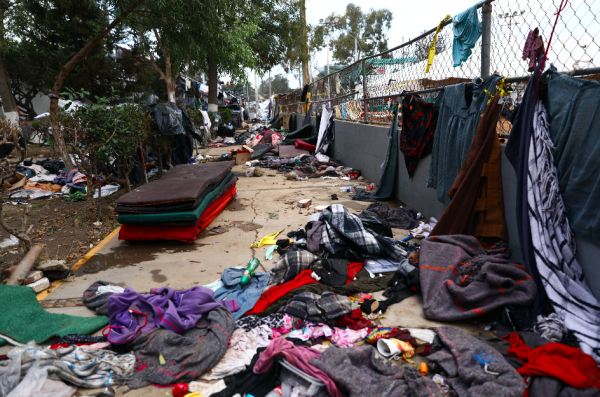 Tijuana Mayor Juan Manuel Gastélum said it is costing the city $25,000 per day to feed and house the 7,000 migrants currently in the city. Obrador didn’t dwell on immigration or border security during his presidential inauguration speech on Dec. 1, but did say he would talk to U.S. President Donald Trump and Canadian Prime Minister Justin Trudeau about economics and migration in the region. “To promote the development of Central American countries and also of ours. And in this way, and not with coercive measures, to confront the migratory phenomenon,” Obrador said. However, Obrador is a socialist, pro-Cuban president who has expressed a lenient line on migration in the past.